The opening gambit for anyone criticising plans in health and social care was to mention at the first opportunity Stalinist Russia. That is of course a ‘cheap shot’. Would a rose by another name smell as sweet? The Department of Health published in 2009 a dementia ‘strategy’ which set out important goals, and has published subsequently different documents under different names such as “The Prime Minister Dementia Challenge” or “The 2020 Implementation Plan”. It is perhaps time to face facts. Talk is cheap. It’s much easier to talk about ‘England is the best place to live with dementia’ than to put an adequate level of funding into the NHS or social care. It is easier to say you have amassed X million ‘Dementia Friends’ without thoroughly looking at the impact of what this new level of knowledge has been, for the general public, in a coherent review. I can’t help thinking that the main beneficiaries of national plans are not people like me, care partners of persons living with dementia. Nor indeed do I think the main beneficiaries are people living with dementia. Sadly I think the main beneficiaries are the consultants who seem stuck in a rotating door of commissions from charities churning out these reports every other year. I ‘googled’ some of the reports for fun earlier this afternoon, and unsurprisingly found the same sort of stuff being regurgitated at regular intervals, such as ‘dementia awareness’, ‘investing money in dementia research’, ‘building dementia friendly communities’, ‘educating the workforce’. People who regularly appear in conferences or in charity meetings know this language well. I was reminded that in the ‘G8 dementia’ initiative a cure or a disease-modifying drug would be presented to the world by 2025. I was bemused at the list of different WHO/UN initiatives done in the name of people of dementia over the years, listed in the newly published WHO report on ‘national plans’. The ‘big selling point’ of these national plans is that we can all learn from each other. And how exactly? What are we learning about how doctors from The Gambia diagnose dementia diffeerently from Venezuela? What do we deduce from the different ratios of private / public funding and how this impacts on dementia care in the UK compared to France? Do we get anything meaningful from these national plans about ‘workforce planning’? Does anyone actually believe that people largely live with only one diagnosis, that of dementia? Are we still further defining people by the name of their diagnosis rather than their actual needs including disabilities? Dementia charities deal only in dementia. That is their brand. For all the big words about ‘civil society’, we clearly have a problem with the way ‘the State’ ‘business’ and ‘other’ can collude with each other to generate competitive advantage, to the point of being near-monopolistic in providing ‘dementia friendliness’ for example. And why might you get prescribed cholinesterase drugs in one country and not another? I’m of course not saying that dementia charities have no impact. I concede they fund research, based on monies (some in part given by people thinking that a cure is ’round the corner’). And their senior officers will have no problem getting future recognition or employment. The stakeholder groups get a mention – but it’s merely that. I recognise marketing when I see it. ‘Dementia plans’ are the worst type of lazy man’s campaigning device, and in fact possibly do more damage than good – divert funds into projects being seen to doing something worthwhile rather than actually improving the experience of people with dementia or care partners. Is the UK fundamentally a better place from having so many new Dementia Friends? We don’t know as the study has never been published. A revolving door gravy train. Pure and simple. Will the official reason for ‘friendly communities’ please stand up? As far as bandwagons go, ‘friendly communities’ take some beating. There is a palpable momentum behind big charities politically endorsed to promote a ‘friendly community’, with champions and award ceremonies. The official reason for ‘dementia friendly communities’ is actually unknown. 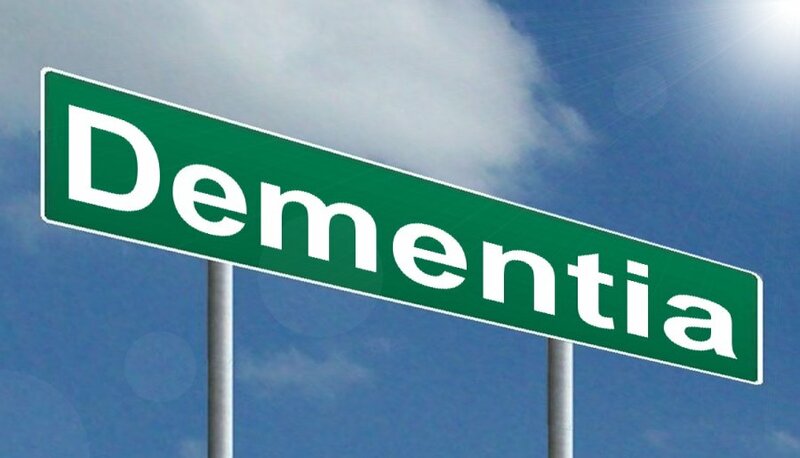 As part of David Cameron’s “Prime Minister’s Dementia Challenge”, the ‘dementia friends’ campaign suddenly emerged from the Alzheimer’s Society and Cabinet Office. A few million pounds were pumped into it, including slick PR and advertising campaigns. The new incoming Coalition government promoted it, just shortly after the 2009 English dementia strategy. The aim, we think, was to ‘raise awareness’ of dementia. It was argued that the public understanding of dementia was poor, and such a campaign to improve people’s knowledge of dementia would help to combat the stigma. It was argued that dementia is the most feared condition in adulthood, and stigma could produce negative consequences such as loneliness. But we actually don’t know at the end of this lengthy experiment whether, on the whole, the public’s knowledge of the hundred or so dementias is any better, whether stigma has been reduced, or whether people are any less lonely. The business cases for promoting all types of ‘friendly communities’ are broadly similar, even if the substrates may differ. For example, autism may be a neurodevelopmental condition; dementia is definitely neurodegenerative. It may be more appropriate to want to achieve equality for people with dementia, but recognise diversity for people with autism? But should we reducing individuals with unique identities into large masses or groups of people who are best described as ‘heterogeneous’ in form, anyway? Of course, politicians and possibly charities don’t actually care. It is argued that there might be a better customer experience for people with dementia or autism in certain high street shops. The arguments have always been too flimsy for words. None of it really stands up, and it was inevitable that many people would get on the bandwagon to receive monies for the concept – somehow. One only has to give it a few minutes’ thought to realise what the enormous problems with it are. If your community is friendly to people with dementia, is it a requirement that people with dementia should declare themselves to have dementia? Is it necessary that people should ‘out themselves’ for having a private diagnosis, even if you’re not a well known celebrity? Or is a dementia friendly community a community which happens to be ‘friendly’ to a person with dementia? Do we include care partners here? The person with dementia has to make no public declaration in entering a shop? Is it, also, really the case that each political party should have a different condition such as autism or dementia to advocate a ‘friendly’ community for? One has to worry, surely, if different high street shops are promoting different conditions to be ‘friendly’ towards to secure competitive advantage? It all seems to be following a remarkably consistent formula. Autism-friendly communities have similar aims to dementia-friendly communities. Autism, like dementia, has patient champions touring the conference circuit, and has social enterprises ‘giving them their voice’. Somebody once told me – whenever you think of empowerment, ask yourself who is doing the empowering? The promotion of different sets of guidelines for condition-friendliness possibly encourages one to think of what particular needs are unique to people with dementia or autism? However, it could also be the case that we become paralysed by analysis over what interview techniques or shopping environments might be particularly condition-friendly? It might be that the development of ‘friendly communities’ produces a genuine approach of ethos and inclusivity. And actually does it make any difference to post-diagnostic care. The latest incarnation of the post-diagnostic support guidance from the Department of Health and Social Care is full of the same empty promises which have populated English policy since 2012. There is no funding for a network of national care co-ordinators, by the way. That was ditched when Labour lost the general election of 2015; prior to that Andy Burnham, now Mayor of Manchester, had advocated this for his ‘whole person care’. It could be that people are genuinely ‘friendly community”-ed out. It could be just that it’s a form of marketing, a vote winner, a mechanism to get a gong, a mechanism to get a grant awarded, a mechanism to distract from failures in social care or mental healthcare provision, a mechanism to drum up customers, and it’s nothing to do with inclusivity and accessibility at all. But I would never be that cynical, would I? Do dementia actions speak louder than words? My reaction when somebody makes a “pledge” is to wonder whether anything will in reality actually change? For example, the former Prime Minister David Cameron MP promised a ‘cure for dementia’ by 2025. That’s only another seven years to go. Actions speak louder than words? We now know that there’s also probably more to ‘dementia friendly communities’ than an enhanced customer experience for people with dementia or their care partners. If you say that “actions speak louder than words”, you mean that people’s actions show their real attitudes, rather than what they say. Words can hurt and cause distress, and, yet despite the well funded campaigns for dementia empowerment and engagement, newspapers continue to be littered with headlines referring to ‘dementia sufferers’ or ‘dementia victims’. The Alzheimer’s Society is running ‘Dementia Action Week’ next week, 1 – 27 May 2018. If you think you’re too small to make a difference, you haven’t spent a night with a mosquito, according to the African proverb. According to much contemporary thinking, “traditional hierarchies” are based on job titles, are somewhat fixed, and define management and communication pathways. Meanwhile, “dynamic hierarchies”, on the other hand, are based on who has the most knowledge and experience in a specific context. But the issue is that, in any system with humans in it, power relations exist, whether you formalise them or not. That means that certain celebrity speakers at dementia conferences are perceived to have more important and valid “lived experiences” than others. The APPG on dementia is currently calling for evidence into an inquiry into dementia and disability. Interestingly, one of the questions is, “ What do you think are the main challenges that people affected by dementia face in day-to-day life (for example using transport or in employment)?”. Pat McFadden MP has recently launched a scathing criticism of the Personal Independence Payment (PIP) scheme, outlining that every PIP assessment appeal in his constituency had been overturned on appeal. Dementia is a disability under the guidance to the Equality Act (2010). Examples of ‘reasonable adjustments’ might be appointing a ‘buddy’ or ‘mentor’ – someone on a similar grade and outside the usual management structure – to show the new employee the ropes and help them settle in to the workplace, or enabling a person to arrange their hours to permit them to attend a weekly therapy session. So, a pledge made by an employer to make his business a ‘disability inclusive culture’ would be meaningful. Arguably, there needs to be proper education and training in organisations about what ‘disability inclusive cultures’ are, and this would go far beyond the superficial marketing of dementia friendly communities. Recently, Finian McGrath, the Minister of State with responsibility for Disabilities, officially marked Ireland’s ratification of the UN Convention on the Rights of Persons with Disabilities at the United Nations in New York. Despite signing up to the Convention in March 2007, on the first day it was possible to do so, Ireland was the last EU country to ratify it. It has also been reported that in Ireland, a theatre, which is based in Celbridge in Co Kildare, was founded in 2014 by theatre artist and teacher Aisling Byrne, after six years of working with people with intellectual disabilities through St John of God Community Services Liffey Region. Byrne said the theatre’s adaptation of King Lear was inspired by the fact people with Down syndrome have a much higher chance of developing Alzheimer’s disease. It is hypothesised by some that King Lear lived with Lewy body dementia. Arguably, this simple example demonstrates core features of inclusive cultures. The theatre has sought to show: “representation” (The presence of people with disabilities across a range of employee roles and leadership positions), “receptivity” (respect for differences in working styles and flexibility in tailoring positions to the strengths and abilities of employees), and “fairness” (equitable access to all resources, opportunities, networks and decision- making processes). As you can see, it is hard to divorce the rights that arise from disability-inclusive cultures from legal rights arising from the UN Convention on Rights for People with Disabilities? Over the years, the term “dementia friendly communities” has spawn a perplexing plethora of definitions, but surely inclusivity has to be a central feature? For the last ten years GPs have been paid, by the taxpayer, to deliver ‘general medical services’ through a scheme based partly on incentives. ‘Quality of care’ is assessed using an ‘outcome framework’ known as QOF, whose parameters relate to expected best practice when treating various long-term diseases. Someone with diabetes, for example, should have his cholesterol checked regularly, his blood pressure kept below dangerous levels, and be given medication to keep his blood sugar acceptable. At least once a year, I see all my patients who’ve suffered a stroke to check that they’re on the right treatment to thin the blood, to monitor their blood pressure, and to make sure they have been referred to appropriate specialists. Scores of outcomes like these are measured by each local health authority, and GP practices are funded in large part by payments derived through this scheme. There have been many criticisms of QOF: that it deprofessionalises doctors, that it encourages a tick-box approach to medicine, that it leads to diagnosis of conditions that a patient might otherwise never know they had (‘over-diagnosis’) and the treatment of which might be harmful. But on the whole the scheme has been accepted because it has been shown to improve some aspects of care, and because patients can choose whether or not to be involved. Every drug has side effects: driving blood sugar too low can make you feel dizzy and weak, and blood-thinning drugs carry a risk of haemorrhage that can be just as devastating as a stroke. I explore with each patient how tightly they wish to adhere to ‘best practice’, discuss which side effects may be acceptable to them and which wouldn’t, and generally tailor their care as much as possible. The government’s health policy reached new levels of absurdity last October, when it was announced that GPs would be paid £55 for every diagnosis of dementia they could enter in a patient’s notes. It was to be a short-term initiative, set to expire before May’s general election – it’s said the Department of Health was keen to meet a target. Simon Stevens, the CEO of NHS England, said that patients had a ‘basic human right’ to know if they were becoming demented. Jeremy Hunt, the health secretary, never one to boost morale when there’s an opportunity to attack it, called the level of dementia diagnosis in England ‘a national shame’. Presumably Hunt and Stevens took the purportedly low diagnosis rate as evidence of poor care, and intended the incentive scheme as an extension of QOF. But paying doctors to make a diagnosis is very different from paying them to maintain high standards. Diagnostic labels can prove stickily difficult to unmake, and dementia is diagnosed through a subjective clinical assessment rather than an objective blood test or brain scan. The tests examine memory and cognitive processing; many patients may meet the criteria for a label of ‘dementia’ one day, but not the next. Another difference is that in QOF, patients can decide whether or not to be involved in ‘best practice’, but they have little opportunity to challenge a new diagnosis. There’s something crucial at stake here about the new way of practising medicine. The extraordinary advances of the last fifty years in public health and specialised care have led to better and better life expectancies: millions now live for decades with diseases that once would have killed them in months. There was a time when, if you suffered a heart attack, you were given oxygen, morphine and nitroglycerin while doctors waited to see if you lived or died. Now you can expect to be rushed into a cardiac theatre, to have your coronary artery re-expanded with clot-busting drugs and a stent, then to be sent to high-dependency care, perhaps now with an intra-aortic balloon pump or ventricular assist device, possibly after that to receive a bypass graft, before ultimately leaving hospital on five or six new drugs, which you’ll take for the rest of your life. The massive expansion in the number of people who have survived strokes, heart attacks, cancer or any number of other afflictions, is a magnificent success story. But it also means that GPs spend most of their time managing the care of patients with chronic disease rather than those needing acute, reactive care. This expansion in the burden of care has taken place without any concomitant transfer in resources, which is one of the reasons so many people think it is easier to turn up at A&E, not the GP surgery, when they want a quick fix. Between 40 and 60 per cent of GP practices in England indicated that they would join the scheme – a lower proportion than most payment schemes. Many GPs went on the record to say they would donate any funds they received to local dementia services. Perhaps they wished to highlight the paradox that a diagnosis of dementia is only of use if it helps you get access to support services, but austerity measures in many local council areas have reduced these services substantially. A diagnosis can also be useful if it gets you a prescription for drugs to help you with your condition, but in the case of dementia there is no such drug. If the dementia is ‘moderate’, it is claimed that some medications can, in some cases, slow its progress by about six months – but they don’t reverse it, and after six months have ‘little or no effect’. They also have side effects: cramps, exhaustion and insomnia are among those commonly reported. Our letter to the BMJ made no assumptions about the reasons for the scheme – it may well have been started with good intentions – but others believe it was thought up because the government is in thrall to Big Pharma and, globally, dementia drugs are worth billions of dollars per year. At the end of November, a month after it was announced, Simon Stevens said that the scheme would not be renewed after March. But the damage has been done and a line has been crossed. This debacle is just the latest example of a medical culture, promoted by successive governments over the last twenty years, that rewards over-diagnosis and the prescription of drugs over personalised, professional care. Clinical trials, often funded by drug companies, show the benefit of a particular medication in a select population, usually people under 75, who suffer from a single or perhaps two conditions. Those results are then extrapolated to very different populations – older, frailer, more likely to suffer side effects and with multiple complicating conditions – and guidelines issued urging prescriptions of higher-dose drugs to these broader populations. The dementia initiative was unacceptable because it was the most flagrantly immoral example yet seen of the introduction of financial bias into what should be the protected space of the consulting room. It wasn’t always protected. In February 1948 Aneurin Bevan gave a speech to Parliament in which he deplored doctors’ resistance – organised by the BMA – to the establishment of a new National Health Service. Some doctors, Bevan said, talked as if their private practice was the glory of the profession. ‘What should be the glory of the profession,’ he said, ‘is that a doctor should be able to meet his patients with no financial anxiety.’ He wanted the issue of payment taken out of the consulting room, so that it wouldn’t taint the clinician’s decisions, or erode the patient’s trust. He urged the Conservative Party to help pass the act against the wishes of doctors’ representatives: ‘We ought to take pride in the fact that, despite our financial and economic anxieties, we are still able to do the most civilised thing in the world – put the welfare of the sick in front of every other consideration.’ It is a measure of the success of the NHS that it is doctors who are now defending Bevan’s vision, while the current minister for health would have us grasping after the money. This first appeared in the London Review of Books in 2015 and is reproduced with their kind permission. As a caregiver for someone with dementia or Alzheimer’s disease, you’ll have to deal with a variety of different behaviors which can vary from confusion to angry outbursts. Having to deal with and understand these can be incredibly stressful but, thankfully, there are new ways that you can approach these difficult behavioral patterns. The first thing to remember is that your loved one isn’t being difficult on purpose. Their sense of reality is entirely different to yours but how they’re feeling is still very real to them. Therefore, as a caregiver, you need to employ effective strategies that will help to accommodate these difficult behaviors. You can do this by thinking about how you’re communicating with your loved one and what environment you’re creating within the home. To get you through these difficult times, why not try the five-pronged approach using the what, when, where, why and how technique that is outlined in the book: When Caring Takes Courage: A Compassionate and Interactive Guide for Alzheimer’s and Dementia Caregivers? The first thing you need to do is establish what the causes of the dementia behavior problems are. You can do this by objectively examining your loved one’s behavior, this will help you to identify whether these are problem behaviors (ones that could have an adverse effect on your loved one or those around them) or not. Some of your loved one’s behavior may make you feel uncomfortable and can be disruptive and embarrassing but might not be harmful. To avoid escalating these types of situations, try to avoid intervening or correcting them, instead letting things go where you can. This will enable you to protect your loved one while still giving them the freedom they want and need. Next, you should start to look for patterns in your loved one’s behavior that will help you to predict when their problem behaviors are going to arise so you can prevent them. To do this, you need to ask yourself what happened just before their behavior started, e.g. was there a trigger point; is it a certain time of day that their behavior gets worse, e.g. when they’re going to bed; and are there times of the year when things get worse; e.g. during the colder winter months. If you are finding it hard to cope with your loved one’s behavior at certain times of the year, it may be worth seeking professional help like that which is offered here (parcprovence.com/contact-us/). This will help to relieve the stress on both you and your loved one. Is your loved one being affected by changes in their environment? For example, when their behavior started, what did they see? Was the environment noisy, did it look different to what they’re used to or did it smell different? You should also look to see whether any other stimuli were introduced to them and whether these changes helped or hindered your loved one. Identifying what’s causing the dementia behavior problems will help you to calm the situation in the future. So, start by focusing on why they’re behaving in this manner instead of looking at what it is that they’re doing. For example, if someone starts to take their clothes off, it may be because they’re too hot, their clothing is uncomfortable or they need to go to the bathroom. Understand that these dementia behaviors are often a reaction to something as they get frustrated trying to communicate their feelings. If you can discover what’s triggering their stress, you should be able to solve the problem with much more ease. If you find that it is a problem behavior that you’re trying to tackle, here are some tips as to how you can get through those challenging moments. Firstly, you should try to validate the feelings that your loved one is having. Telling them that they’re wrong or that they shouldn’t be reacting this way is more likely to agitate them because they’ll feel as though you’re not listening to them properly. Tell them you understand why they feel this way and that you want to offer your help to them. When you’re expressing these feelings, it’s important to remember that your loved one is going to respond to your tone of voice, facial expressions and body language. Speak softly and reassuringly while smiling and using eye contact. Instead of contradicting them, you should accept what they’re saying, offering a solution in the process. For example, if they keep asking for their car keys, you could say that you’ll give them to them when the mechanic has fixed their car before asking them where you’re going to go first when they get them. Finally, offer them familiar things to calm the situation, such as music, favorite items or photos. Having these on hand when their behavior starts to escalate will help you to try and soothe the situation before it gets out of control. Jayden Armstrong is a carer in an eldercare facility and has to deal with patients who have dementia on a daily basis. Often heartbreaking he has some coping strategies to help the elderly as well as himself deal with this disease. He shares his thoughts and tips in his articles. ‘Flexibility’ is something we usually associate with our limbs, but did you know that your brain can be ‘flexible’ too? In this context it refers to having a fast level of speed and accuracy when performing particular tasks, and some studies have found that brains become more flexible if games are played regularly enough. Bingo is a great game for improving our brains’ flexibility as it requires us to keep up with the fast-pace of the caller and manage multiple cards at any one time. Moreover, online video games with strong narratives, characters to control and tasks to complete require players to orientate a figure on the screen, commanding them to jump, crawl and climb from point to point. This means that regular gamers become adept at advanced planning and decision making, and even have better peripheral vision given their constant need to examine what’s happening all over the screen. Also, according to the Alzheimer’s Disease Centre, there’s an association between playing online games and a person’s rate of cognition. People who regularly play games (such as crosswords, puzzles and other activities) have a higher volume in areas of the brain that are typically associated with Alzheimer’s (Alzheimer’s shrinks the brain, impairing cognitive function), and they also score higher on cognitive tests too. This suggests that while gaming doesn’t necessarily prevent or reverse the effects of Alzheimer’s, those who play games might be better ‘cushioned’ against its effects. In addition, Researchers at the Institute of Psychiatry, Psychology and Neuroscience at Kings College London have found that online gaming can improve memory and reasoning skills. This is particularly useful for those who struggle with their memory (the elderly, in particular), allowing them to carry out everyday tasks such as shopping, navigating public transport and recalling dates with increased ease and greater success. Finally, if you thought that online gaming was a solitary activity, think again! Many online games are now played in teams, and even solo-plays are equipped with chat functions and headsets to allow you to talk to the people you meet online. This reduces loneliness, isolation and depression – common problems among the young and elderly alike – which means that online gaming can actually enhance social interaction rather than hinder it. This is great news for overall brain function as depression has been found to impair brain function and causes poor judgement and poor memory. So, next time you’re playing a game of bingo or doing some online brain training, think about the positive effects on your health… and keep it up! How ‘dementia friendly’ was the Budget? England currently does not have an up-to-date dementia strategy. The last ‘five year plan’ expired in 2014, and was supposed to be renewed. Baroness Sally Greengross, the previous chair of the All Party Parliamentary Group on dementia, made clear many times that the intention would be to recapitulate what had worked (or not) in the document from 2009 before progressing. This work, if indeed done, has never been published to the best of my knowledge. Karen Dening last year mentioned in the Dementia Congress in Telford that cooking dementia policy was ‘like cooking a cake’. Karen who is Director of Admiral Nursing for the leading charity Dementia UK, explained that making a cake required an understanding of the fine balance of ingredients. Too much of one ingredient (or too little) could spoil the cake. You don’t routinely ‘cure a headache’ with radical neurosurgery consequent upon sophisticated neuroimaging? You are likely to treat the symptom with a paracetamol. And the same logic goes for asthma and bronchodilators. In the history of drug development for dementia, the debris of “repeated and costly failures” is a formidable one. But then again no omelette was ever made without cracking eggs. It is said, for example, that between 1998 and 2012, there were 101 unsuccessful attempts to develop drugs for Alzheimer’s disease, with only three drugs gaining approval for treating symptoms of the disease. A starting point is that many did not receive a diagnosis for dementia, and the UK lagged behind some other countries on this particular metric. How a person or their closest ones seek a medical diagnosis for dementia was not straightforward, even before NHS England introduced its disastrous, and ultimately temporary, initiative to provide financial incentive for the diagnosis of dementia. A lot depends on the coping strategies of the people seeking diagnosis, as well as whether the benefit of a diagnosis is more beneficial than any ensuing stigma. But there’s a whole host of factors involved in diagnosis seeking behaviour which still need attention – e.g. general level of public ‘dementia awareness’, identification of relevant symptoms, and so on. I remember once on BBC Radio 4’s “Thought for the Day”, the Chief Rabbi once said that the best thing about walls was when you broke them down. With having developed a profound dislike of ‘managerial speak’, I am loath to want to talk of ‘breaking down silos’. I rarely see silos in fact, being based in deepest metropolitan London. Yesterday, I took receipt of an advance copy of “What the hell happened to my brain” by Kate Swaffer. Kate is a friend of mine, and a (more accomplished) colleague in the area of dementia. Kate in fact was given a diagnosis of dementia. It’s an outstanding book if you want a very fine grain account of one person’s life reacting to a diagnosis of dementia (and the impact this has on others). I freely admit, now, having worked both on the wards and in research on dementia that I had barely scratched the surface. In my research degree at Cambridge, I proposed a new way of diagnosing one of the frontal lobe dementias, characterised by changes in behaviour and personality. But I think on reflection I knew little of the impact a diagnosis of this type of dementia has on families. A few years later, I was a junior at the National Hospital for Neurology and Neurosurgery. I remember clerking about 15 elective patients weekly, and organising their investigations (as well as doing their lumbar punctures), in addition to the emergency work. But I knew very little of their individual “back stories” personally. The focus of the discussion of healthcare tends to be focused on physical silos, such as how health and social care are organised differently. But even now I don’t think I have a clear idea about what each of the various health professional groups can do for a person with dementia (and their closest). I would like to think I know better than some, but that might be human nature. I think even as a junior I would have benefited from work shadowing people working in other disciplines, but, with such a packed medical undergraduate timetable, this might have been a luxury too far. The fact is I had one hour-long lecture in the whole of my clinical course on dementia, and even then that was ‘bundled’ with delirium. The legal part of my training has to think about how necessary and proportionate these ‘walls’ are. Walls can be important in marking the boundaries, say for example if you don’t want confidential information ‘to go walkies’ into the wrong hands. To give as an example, you might be denied an insurance policy, or offered one at a vastly inflated premium, if somebody somewhere had scribbled ‘incipient dementia’ as a guess in your medical notes somewhere. When studying business management, we would often discuss ‘performance management’, a term I personally hate. I think of it in terms of ‘how to get the best out of people’. These shorthand terms tend to do actual ideas a gross disservice. For example, I have found excruciatingly embarrassing the attempts of some senior clinicians to define the purpose of “integrated care”, when I see the focus, in the area of dementia, as persons having their needs attended to in the right place, in the right way at the right time. In discussing performance management we would discuss whether you needed first-hand experience of a subject to give it a 360 assessment. The answer, to the question framed by managers, was unsurprisingly no – but it is also that it is the case that there is a very well known Professor of Psychiatry at John Hopkins University who lives with bipolar affective disorder. When I personally found myself taking on a new identity as a result of becoming physically disabled, when I was in a coma with acute meningitis, in 2007, I became more aware of walls in my life. Although this was a sad event in itself, it was also a very happy one for me – it heralded the start of my abstinence and recovery from alcoholism. A journey which has taken me eight years so far, successfully. I spent a lot of time physically in Manchester, for one reason or another. As a ‘Northern power house’, it happens to be only two hours away from London Euston on the train. One of the central premises of the Big Society is that individualism is best given empowerment of people’s relationships with one another. The effect of a monopolistic relationship with the State, or as more the case outsourced private providers, is that such relationships do not gain power.